LiPOLY’s ST6000 is a UL thermally conductive tape with high-temperature heat resistance. The thermal conductivity is 1.8W/m*K. The stickiness and strength of the thermal tape will increase when temperatures and pressure rise. They are designed to securely bond heat sinks to power dissipating components without an additional clamping mechanism. LiPOLY AT8389 is a thermally conductive tape developed without a base material. The thermal conductivity is 2.0W/m*K. The thickness comes in 0.25 and 0.38mm, and the AT8389 can withstand 6K voltage. Using highly conductive particles makes the tape extremely reliable and easy to use. The stickiness and strength will increase when temperature and pressure rise. 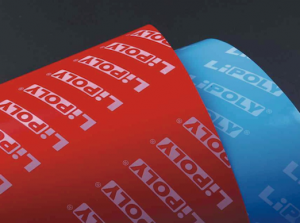 LiPOLY AT900A is a thermally conductive tape, which uses glass fabrics as a base material. The thermal conductivity is 0.9W/m*K. The thermal conductivity and stickiness will increase when temperature and pressure rise. LiPOLY AT900C is a thermally conductive tape, which uses glass fabrics as a base material. The thermal conductivity is 1.2W/m*K. The thermal conductivity and stickiness will increase when temperature and pressure rise. 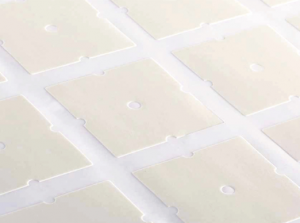 LiPOLY AT900P thermal conductivity is 1.2W/m*K. The thickness is only 0.1mm and can withstand 6K voltages. The thermal conductivity and stickiness will increase when temperature and pressure rise.